HAVERHILL - Judith (Blake) Abdulnour, 75, of Boxford, formerly of Peabody, passed away peacefully in Amesbury, on November 8, 2017, after a long and courageous battle with Alzheimer's disease. Judy was born on March 23, 1942 in Peabody, daughter of Robert and Anne "Ollie" (Shaw) Blake. She resided in Peabody and Boxford for most of her life. Judy enjoyed spending time with her friends and family, watching classic movies, rooting for the Red Sox and Patriots, cooking and tending to the flowers in her garden. She was a real estate broker, nanny and caretaker for the elderly for many years and took pleasure in taking care of others. Judy was a kind, selfless, caring, funny and sweet woman who touched the lives of many who knew her. She had a way of making you feel at ease when you were with her. She was generous and loved to make people smile. Judy loved life, her family and her friends and telling stories about her youth and her upbringing in Peabody. Judy loved the holidays and the gatherings with family, the food, the decorations and giving thoughtful gifts to those she loved. 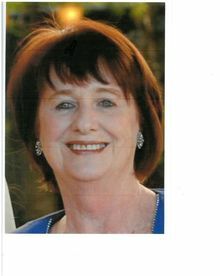 She was a warm, loving mother, grandmother, sister, aunt and friend and will be missed greatly by those who loved her. Judy is survived by her loving children Matthew Arey of Newbury, Melissa Lopilato and husband Dave of Haverhill, Abigail McKinney and husband Bill of Ashland; grandchildren Vincent Lopilato, Adam Lopilato, James McKinney, Juliet McKinney and Stephanie Morey Barry; brother Kenneth Blake and wife Lee of The Villages, FL; many nieces and nephews. Judy was preceded in death by her brother, Robert Blake, Jr. of Peabody.